The Berne Union has 84 member companies from around the world, including 5 observers. The membership is diverse – member organisations may be private or state linked, small or large. They represent all aspects of the export credit and investment insurance industry worldwide. Setor Comercial Norte, Quadra 02, Bloco A, nº 190, 10º andar, sala 1002. ABGF offers a modern instrument aimed at supporting Brazilian exporters in the international market. In MLT transactions, the policies are characterised by maturities that exceed two years and, in general, are related to projects involving capital goods, services and other specific contracts. Brazilian Federal resources cover these transactions, through the FGE – Fundo de Garantia à Exportação (Export Guarantee Fund). ABGF acts on behalf of the State, providing all the technical analysis and management of export credit insurance policies. – Percentage of cover for commercial risks: up to 95%. In the case of commercial risk transactions which hold a bank guarantee issued by acceptable financial institution, the percentage of cover may rise to up to 100%. Percentage of cover for political risks: up to 100%. AIG has underwritten political risk insurance since 1978 and trade credit insurance since 1982. AIG issuing companies are rated A+. ✓ Trade credit insurance: Coverage against non-payment of short-term trade receivables, both export and domestic. Tailored policies are available to meet the needs of large corporation, middle-market firms, and banks. ✓ Investment insurance: Confiscation, expropriation, nationalisation, currency inconvertibility and political violence for both equity investors and financial institutions. ✓ Political risk insurance: Contract frustration, wrongful calling of guarantees and a wide range of customised covers for importers and exporters. AOFI was established by the government of the Republic of Serbia as a joint stock company in 2005. AOFI’s main objective is stimulating and promotion of exports, development of economic relations of the Republic of Serbia with foreign business entities and the reduction of risks resulting from the disposal of products and services abroad. ASEI is a general insurance company, established on 9 October 2014 as a result of a corporate spin-off from PT. Reasuransi Indonesia Utama (Indonesia-Re) or formerly known as PT. Asuransi Ekspor Indonesia (Persero). Where Indonesia-Re’s main purpose is to decrease Indonesia’s trade deficit particularly contributed by the insurance sector, PT. Asuransi Asei Indonesia (or Asuransi Asei) continues to undertake its function as the ECA of Indonesia and to support indonesia exports and the development and growth of the nation’s economy in general. To support the demands of the Indonesian market, Asuransi Asei provides various types of insurance products which include export and domestic credit insurance, domestic credit guarantees, counter bank credit guarantees, import insurance and general insurance to Indonesian exporters/importers, domestic sellers/buyers and banks. Asuransi Asei is also deeply involved in the bonding sector as it is licensed to issue advance payment bonds, bid bonds, performance bonds, (retention) maintenance bonds and customs bonds. The service of network of Asuransi Asei comprises 21 branches and 31 marketing offices established in all of the major industrial cities across Indonesia. exporters against political and commercial risks related to international activities. risks. The company’s policies are backed by the full faith and credit of the Israeli government. ✓ Export credit insurance Medium and long-term (over one year) export credit insurance against political and commercial risks. Major insurance facilities: supplier’s and buyer’s credit coverage; credit lines; forfaiting and letters of credit insurance; bonds insurance. ✓ Investment insurance Cover offered: conversion/transfer risks; war and civil war risks; expropriation/confiscation risks; breach of contract by the host government. ATI was founded in 2001 by African States to cover the trade and investment risks of companies doing business in Africa. ATI provides Political Risk, Surety Bonds, Trade Credit Insurance and Political Violence and Terrorism & Sabotage cover. As of 2014, ATI has supported over US$35 billion in trade and investments across Africa in sectors such as agribusiness, energy, exports, housing, infrastructure manufacturing, mining and telecommunications. ATI is the #1 ranked insurer in Africa with the 2014 renewal of its Long Term ‘A/Stable’ rating for Financial Strength and Counterparty Credit by Standard & Poor’s. We offer two main insurance products that cover political and trade credit risks. Foreign direct investment risks fall under our political risk insurance. We also offer reinsurance coverage to insurance companies operating in or supporting business into or out of our African member states. Here is a selection of the political trade credit risks that are covered by our insurance policies: Expropriation, arbitral award default, transfer restriction, mobile assets, war, civil disturbance or civil commotion, unfair calling of bonds, embargo, comprehensive non-payment, terrorism, sabotage, political violence. ATRADIUS provides trade credit insurance, surety and collections services through 160 offices worldwide, and has a presence in 45 countries. Its products help protect companies from payment risks associated with selling produces and services on credit. ✓ (Export) credit insurance: These services are designed to protect companies against the risk of non-payment by domestic and foreign customers. We also act as ECA for the Dutch government (ATRADIUS Dutch State Business). ✓ Global policy: This can be adapted for the specific structure and requirements of multinationals – umbrella cover with common terms for the group but with individual, localised policies for country subsidiaries. ✓ Bonding: Offered in France, Italy, Spain and the Nordic countries. Bonding products can protect companies against the failure of a supplier to meet agreed to performance standards. ✓ Debt collections: ATRADIUS has a global network of debt collection professionals, with offices throughout Europe and North America. ✓ Reinsurance: The credit insurance and bonding business of primary insurers in many markets across the world is supported by the underwriting and reinsurance of premiums through Atradius Reinsurance Ltd. The U.S. liability insurance crisis of the 1980s: capacity halved, premiums doubled. Then they doubled again. Nobody was prepared to cover the risks, so nobody was prepared to take them. In 1986, 68 of the world's largest companies came together and founded what became XL Group to solve complex risks. A part of the AXA family since September 2018, we are now known as AXA XL. We want to reinvent what re/insurance means to you. Whatever path your business is on in this uncertain and fascinating world, we’ll be there. Wherever and whenever you need us. Using data-driven insights and leading technology, our talented and recognized teams are empowered to create solutions for even your most complex risks. With a culture of superior service, dedication to operational excellence and a focus on the future, we’re ready for your next step. Let’s move the world forward together. Political unrest and credit risk headlines are in the news every day, adding to businesses’ global risk management concerns.AXA XL’s highly experienced underwriting and analytical team helps businesses manage the complex and ever-changing risks of a global marketplace, designing special risk mitigation solutions. Coverage can be arranged for Political Risk,Credit and Bond Insurance with up to USD200m capacity available per policy. represented by the Minister of Economy, energy and Tourism. BAEZ performs activity on its own account and on the account of the state. international markets by export insurance mechanisms. BAEZ has also developed schemes that facilitate access of the companies to credits and financing. ✓ Export credit insurance: Insurance against short-term commercial risk (marketable and non-marketable); insurance against short-term political risk; domestic credit insurance. ✓ Export financing: Pre and post-shipment financing. Investment insurance; insurance of letters of credit; insurance of bank guarantees. ✓ Insurance of credit and financing: Covering the risk of delayed payment on behalf of the debtor or insolvency/over-indebtedness or bankruptcy of the debtor. In 1937 Banco Nacional de Comercio Exterior, S.A. was founded to promote, develop and organice Mexico´s foreign trade. In 1950 the First Exchange Agreeements were signed allowing exports of cotton, rice and others. In 1953 the Foreing Trade Program initiated consisting of the analysis of Mexican trade and foreign trade markets. In 1960 the objectives of exchange and industrialization are strenghthen. In 1985 it became a Development Bank. In 1986 BANCOMEXT´s Organic Law is published. In 1989 Bancomext is the First Mexican bank to return to the international bond market. In 1996 Bancomext initiated the direct credit strategy to attend specific sectors. In 2013 the mission of Bancomext to promote economic and social growth by financing Mexico´s International Trade is included in the National Development Plan. In 2015 Bancomext is the fastest growing bank in the Mexican banking industry, has the seventh largest corporate loan portfolio in the Mexican financial system (a year to year growth of 41.3%). Bancomext is organized in 7 divisions (Business Financing, SME Development, Financing, Credit 6 Risk, Legal & Fiduciary, Administration and Finances and lastly Institutional and Inteernational Relations) supported by a top quality management. Bancomext has a very strong and solid corporate governance. We are managed by a Board of Advisers, a Committee for the Promotion and Support of International and ForeignTrade and our Chief Executive Officer, our Board of Directors which consists of 15 members most of them senior goverment officials. As of today, Bancomext has its main office in Mexico City and two Regional Offices one in the Northeast in Monterrey state of Nuevo Leon and the other in the West in Guadalajara, state of Jalisco. BANDEX is the Dominican export credit’s bank and its purpose is supporting the country’s export capability by offering financial services to contribute to the development and well-being of Dominican society. Its mission is to offer financial products and services that strengthen the export sector, through innovative and specialized alternatives to boost the exportable supply of the Dominican Republic. BANDEX will function as both an Eximbank and an issuer of export credit insurance. However, such products and services will be developed in the near future as the bank is still completing its process of transformation from being a financial entity previously devoted to funding housing and production in general to its current role as a bank specialized in financing exporters. BECI has since its inception in 1996, continued to affirm its position in the market by growing its product base from offering only export credit insurance, to later introducing domestic credit insurance, construction related guarantees, invoice discounting and debt collection. The political risks are reinsured by the Government of Botswana whilst commercial risks are reinsured in the private reinsurance market. BECI continues to explore new business opportunities. Since January 2017, Bpifrance Assurance Export is the new French export credit agency acting on behalf, under the control and in the name of the French State. Since 1 January 2017, Bpifrance Assurance Export is responsible , in place of Coface State Guarantees, for the management of French public guarantees for export, with the direct guarantee of the French State. Bpifrance Assurance Export operating on behalf, under the control and in the name of the French State offers companies a wide and diversified range of solutions to support foreign markets prospects, to secure the issuance of bonds and pre-financing by banks, to make competitive financing available to foreign clients, to cover exchange risks, to secure exports and overseas investments. Bpifrance Assurance Export is a subsidiary of Bpifrance, itself a public bank and a subsidiary of the Caisse des Dépôts and of the French State which supports companies from their start-up to their listing on the stock market, through credit, guarantees and equity. Bpifrance Assurance Export complements Bpifrance export offer and reflects the will of the French State to reinforce its support for French companies in their international development through a single entry point for financing and support. Ownership: CESCE is a limited company. 50.25% of its shares are held by the Spanish State, while the remainder is in the hands of Spain’s main banking and insurance groups, among which the BSCH, BBVA and Banco Sabadell. CESCE was founded in 1970 to primarily operate in the field of export credit insurance for the account of the State , as an instrument to foster Spanish exports . After deregulation in 1990, CESCE started to actively compete for its own account on the open export credit and domestic credit insurance markets . The company is currently present in Spain, Portugal, France and Latin America (Argentina, Brazil, Chile, Colombia, Mexico, Peru and Venezuela). CESCE specializes in the comprehensive management of commercial risk and integrates INFORMA D&B, S.A. (the financial and commercial information provider) and CTI, S.A. (the provider of IT services). ✓ Export Credit Insurance: Commercial and political cover for export markets and commercial cover for domestic markets; pre and post-shipment risks for both short-term and medium/longterm transactions. ✓ Investment Insurance: Conversion/transfer, war and civil war, breach of undertakings by host government, expropriation/ confiscation. Bonds and guarantees: unfair calling, fair calling of bonds, cover to banks, bonds/guarantees issued. Chubb’s Political Risk & Credit team is a global operation headquartered in London with offices in Singapore, Tokyo, New York, Los Angeles, Chicago and Sao Paulo. We have been underwriting PR&C since 2001, working closely with international investors, financial institutions, trading companies and manufacturing companies. Political Risk & Credit is ultimately owned by Chubb Ltd, the largest publically traded P&C company which has a S&P financial strength rating of AA. The Coface Group is a trade risk expert and a worldwide leader in credit insurance. It assists companies −regardless of their size, business sector or country− as they grow within their domestic and export countries. The Group offers credit insurance solutions that aim to protect businesses against the risk of financial default by their customers. Founded in 1946, Coface, a global player in credit insurance, is a private company. It is a recognized expert in the analysis and management of macro- and micro-economic risks, it provides comprehensive, flexible and scalable solutions worldwide to protect every company, regardless of its size, nationality or sector of activity, against the risk of insolvency of its debtors – on their domestic and foreign market. Coface relies on its powerful international network to offer credit insurance in 100 countries. Alongside credit-insurance solutions, Coface provides other services in selected geographies: business information (e.g. in Central and Eastern Europe), factoring (Germany, Poland) or surety (Italy, France, Germany, Austria). COSEC - Companhia de Seguro de Créditos, SA began operating in 1969, as a limited company with the State as its major shareholder. Since November 1992, COSEC has been a private company and its shares helded by one of the largest banks in the Portuguese financial sector and the world leader company of the credit insurance market. COSEC is the leading Insurer in Portugal for credit and bond insurance, offering credit control solutions both for internal and external markets, and is also responsible, for account and by order of the Portuguese State, for covering and managing credit and investment in political risk countries. ✓ Export credit insurance: Export credit insurance short-term cover: commercial and political risks, pre-shipment and credit cover. ✓ Medium/long-term cover: Supplier and buyer credit facilities, lines of credit and project finance cover. ✓ Investment Insurance: Covers offered: expropriation/ confiscation cover, conversion/transfer cover, war and civil war cover, breach of contract by the host government cover. ✓ Bonds and guarantees: Covers offered: bid bond performance bond, retention bond, advance payment bond, customs and tax authorities bonds, bonds/guarantees issued. Present across the European continent and active in all segments of trade credit insurance, Credendo provides a range of products that cover risks worldwide: Belgian export credit agency services, whole turnover short-term credit insurance covering European and non-European risks, single risk, excess of loss, top up, surety and reinsurance. In 2016 Credendo insured international trade worth 80 billion euros and earned 370 million euros in premium income. Credendo is the fourth largest credit insurance group in Europe. • Principal and interest amounts, including interests on arrears during waiting period. Credendo has a flexible attitude towards foreign content. Credit Oman (the Export Credit Guarantee Agency of Oman) was established in 1991 as a national export credit agency of Oman, with the primary goal of promoting Oman non-oil exports. ✓ Export credit insurance: Provides short-term cover against commercial and political risks. ✓ Domestic credit insurance: Provides short-term cover against commercial risks. ✓ Pre-shipment credit guarantee: Issues pre-shipment credit guarantee to enable the exporters to obtain working capital credit facilities from commercial banks. ✓ Post-shipment credit facilities: Assists exporters to avail post-shipment credit facilities through commercial banks. Rated AA stable outlook by Standard & Poor’s, DHAMAN is a multilateral credit and political risk insurer owned by 21 Arab countries. It has been playing since 1974 a significant role in promoting investment flows into Arab countries as well as Arab domestic and foreign trade. DHAMAN has built a large and solid network of partners worldwide, including credit insurers, reinsurers and brokers. ✓ Investment insurance: DHAMAN protects Arab and non-Arab investors investing in Arab countries against losses arising from political risks: expropriation and nationalization, currency inconvertibility and transfer restrictions, war and civil disturbances, terrorism and breach of contract. Both new and existing investments are eligible. • The Documentary Credit Insurance Policy (DCIP) which protects the confirming bank against the default of the issuing bank. • The Leasing Insurance Policy (LIP) which protects the Lessor against the default of the Lessee. • The Factoring Insurance Policy (FIP) which protects the Factor against the default of the obligors. ✓ Specialty coverage: Dhaman’s Non-honoring of Sovereign Financial Obligations (NHSFO) policy is intended to financial institutions that provide loans to sovereign and sub-sovereign entities for infrastructure projects and other developmentally sound investments in Arab countries. ECGC Limited (ECGC) was incorporated in the year 1957 under the Companies Act, 1956, to facilitate and strengthen India’s exports by insuring the credit risk faced by Indian exporters / banks on lending to the exporters. The company is 100% owned by Government of India. It is managed by a Board of Directors comprising nominees of the Government of India, Reserve Bank of India, Commercial Banks, Insurance companies and eminent persons from the Exporting Community. The Paid up capital of the company is currently Rs. 13.5 billion (approximately USD 208 million) vs. the authorized capital of Rs.50 billion (approximately USD 769 million). ECGC is a wholly owned subsidiary of the Reserve Bank of Zimbabwe. It was incorporated in 1999 and commenced operations in 2000. ECGC is managed by a board of directors comprising representatives of the government, Reserve Bank of Zimbabwe and the private sector. ECGC accepts commercial and political risks and underwrites bonds and guarantees for its own account and reinsures a portion of these with professional reinsurers. ECGE is the government export credit agency offering its clients global credit solutions including credit insurance, factoring, information reports and debt recovery. ECIC SA was established in 2001 in terms of the Export Credit and Foreign Investments Insurance Act, 1957, as amended. It is a registered insurer and a public company with limited liability. ECIC provides insurance that enables South African exporters to offer their services and products on the international market, with a particular focus on emerging markets in Africa that are considered too risky by conventional insures. Its overarching goal and its mandate from the South African government as its sole shareholder is to make South African exporters attractive to international buyers to attract foreign income, stimulate local economic growth and create local jobs. ✓ Export credit insurance: Underwrites loans (buyer and supplier credit as well as project finance facilities) over the medium/longterm, against commercial and political events of default, breach of contract, currency inconvertibility and transfer risk etc. ✓ Investment insurance: Cover offered to investors (equity, shareholder loans as well as commercial loans) against expropriation, confiscation, nationalisation, war, armed hostilities, civil war, rebellion, revolution or similar disturbances, currency inconvertibility and transfer risk. ✓ Performance bond insurance: Cover performance bonds issued on behalf of exporters participating in exports of capital goods and/or services. Head of Insurance & Customer Support Dpt. ECIO was established in 1988 by Law 1796/1988 and it is an autonomous “Public Entity in Private Law”. It is governed by a nine-member Board of Directors which is appointed by the supervising Minister of “Development, Competitiveness, Infrastructure, Transportation and Networks”. Its Reserve Capital amounts to €14omn. EDC is Canada’s export credit agency, established to support and develop, directly and indirectly, Canada’s export trade, as well as Canadian capacity to engage in that trade and to respond to international business opportunities. EDC is financially self-sustaining and operates on commercial principles. In addition to being a direct lender and insurer, EDC acts as a catalyst to leverage private capital and establishes partnerships both domestically and abroad. ✓ Insurance: Credit insurance for export transactions, including policies issued to financial institutions to cover foreign bank payment obligations and purchased receivables. Contract insurance for capital goods, service contracts and projects: Political risk insurance for equity investments, assets and debt, as well as comprehensive insurance policies issued to financial institutions for payment default on sovereign or quasi-sovereign debt obligations. ✓ Financing: Flexible financing solutions including buyer credits, supplier credits, bank guarantees, equity products and financing to support foreign direct investment. ✓ Bonding: Guarantee and insurance products to support performance bonding and surety bonds as well as foreign exchange facilities. Efic provides finance and insurance solutions to help Australian companies exporting and/or investing offshore to overcome financial barriers. We offer ways to unlock export finance and/or facilitate overseas investments where their banks and/or insurers are unable to provide all the support they need. Direct loans to overseas borrower (buyer credit) and exporter (working capital); unconditional guarantees and indemnities to financial institutions (supplier credit and working capital); medium-term payment insurance covering commercial and political risks; pre-shipment finance; lines of credit. Limited-recourse lending/guarantee in support of Australian exports to overseas projects. Cover to investors, financiers (loan and commodity hedge providers) and contractors – CITB, war damage and PV, expropriation/confiscation, forced abandonment, deprivation, selective discrimination and Breach of contract with arbitration award default. Cover against unfair calling of bonds; issuer of contract or surety bonds, including for the US market. Ownership: EGAP is fully owned by the state. Shareholder’s rights are exercised by the Ministry of Finance as a sole shareholder. Export Guarantee and Insurance Corporation is a joint-stock company. The offered export credit insurance with state support is in full compliance with the Arrangement on officially supported export credits, EU law and with BU understandings. No. 5, 16th St., Bucharest Ave., Argentina Sq. Euler Hermes Aktiengesellschaft (EH GERMANY – State), as a new company officially registered in early February 2014, has taken over all state account activities of Euler Hermes Deutschland AG. The new company is treated as a partial legal successor of Euler Hermes Deutschland AG. Since 1949 EH GERMANY (State) and PricewaterhouseCoopers AG have been entrusted by the German Federal Ministry of Economics and Energy with administering the Official Export Guarantee Scheme, for which purpose the two companies entered into a consortium under the lead management of EH GERMANY (State). The company handles short-term and medium/long-term export credit guarantees, whole-turnover policies and pre-shipment risk cover. Founded at the end of 2013, started full operations in 2015. Focused on short term supplier's credit. EKF is Denmark's Export Credit Agency. It is an independent public company under the Danish Ministry of Industry, Business and Financial Affairs. EKF offers insurance, guarantees and loans to banks and companies – national or foreign – that take risks on exports and investments containing Danish economic interest. Goods, capital goods, turn-key projects, services and investments are covered by the guarantees. EKF offers both political and commercial risk cover. ✓ Export credit insurance: Political and commercial risk cover via supplier and buyer credit facilities, lines of credit and shopping lines. ✓ Project finance: Special project finance facility. ✓ SME guarantees: Offering a buyer abroad long-term credit on a specific export order. ✓ Export loans: Loans to foreign buyers through a bank. ✓ Investment guarantees: Insurance facility for emerging markets. ✓ Bond and guarantees: Cover against unfair calling. ✓ Working capital guarantees: Securing credit from the bank to pay for materials, wages and suppliers. EKN supports Swedish exports and the internationalisation of Swedish business. We do this by offering exporting companies and banks guarantees for payment and financing. • Cover for commercial and political risks. • Short-term pre-shipment and credit cover. • Medium/long-term pre-shipment cover and supplier and buyer credit facilities. • Project finance transactions underwritten within EKN’s normal guarantee facility. • Cover for exporter against unfair calling. • Counter guarantee for issuer of bond against exporter risk. • Guarantee for confirmed LC. • Conversion and transfer cover, war and civil war cover, expropriation/confiscation cover. With Enterprise Singapore’s global network in over 35 locations spanning many developed and emerging markets, it connects businesses with relevant Singapore companies for their business expansion. Ownership: The Agency's sole shareholder is JSC "Russian Export Centre." EXIAR is the national export credit agency of Russia. EXIAR mandate is to support Russian export and investment abroad. EXIAR covers short, medium and long-term risks. The Board of Directors consists of senior executives of the Russian government and independent directors. The Agency’s activities are backed by the Russian Federation in line with the budget legislation. EXIM HU Hungarian Export-Import Bank Plc., Hungarian Export Credit Insurance Plc. Both organisations were founded in 1994. EXIM’s objective is – while assessing and channelling the needs of exporters – to provide a coherent range of lending, guarantee and insurance products that cover the entire spectrum of export activity, from production through manufacturing to the support of the sales process. With its new products it is also capable of providing financing and insurance for the supplier processes and chains that precede the export activity. Another task of Eximbank and MEHIB is to facilitate growth in export-oriented investments and capital projects. In this way business enterprises can be motivated, as partners, to have an interest in boosting their existing production capacities, and to be able to expand their product range and target additional export markets. EXIM J is an independent public sector trade financing institution, which provides trade credit insurance, ST foreign currency financing through foreign lines of credit and a range of ST and MT local currency financing programmes to the productive sector, with emphasis on the exporting sector. Banca de Export Import a României EximBank S.A. has been established in 1992 as a joint stock company with the Romanian state as major shareholder. EximBank has been entrusted with the public mandate to support Romanian exporters, as well as projects in the areas important for the long-term sustainable development of the Romanian economy, such as: infrastructure, public utilities, regional development, research & development, employment & training of personnel, or environmental protection. EximBank has also a strategic focus on Romanian SME support. In August 2010 Compania de Asigurari-Reasigurari Exim Romania S.A., a joint stock company with EximBank Romania as major shareholder, was set up for short-term export credit insurance against marketable risk. EximBank Romania cooperates with a wide range of export credit agencies, local and international banks and related organisations to strengthen the operating potential and competitiveness of Romanian companies on domestic and international markets. Export-Import Bank of the Slovak Republic is the official export credit agency of Slovakia established by the Act No. 80/1997 Coll. as amended. Its main goal is to increase the competitiveness of Slovak exporters at the international market via providing a wide range of export credit and investment insurance, insurance and other related financial services. • ST cover against commercial and political risks: export and domestic receivables. • Insurance of export guarantees, production risk, confirmed irrevocable LCs. • Insurance of MLT export credits – suppliers’, buyers’ credit. Insurance of foreign investments. • Insurance of pre-export financing. Eximgarant of Belarus is the official export credit agency of the Republic of Belarus vested with the exclusive right of conducting Export credit insurance with State support. The strategic goal of the company is the development and improvement of export potential of the Republic of Belarus. Along with principal activities Eximgarant of Belarus contributes to the attraction of foreign direct investments in the Republic of Belarus. Eximgarant of Belarus carries out classical types of insurance and has the license for reinsurance. This enables to cover the whole range of risks associated with the implementation of any investment project in Belarus. FCIA Management Company, Inc. (FCIA) and its associated organisation, the Foreign Credit Insurance Association, have provided trade credit and political risk insurance since 1961. FCIA, a whollyowned subsidiary of Great American Insurance Company (GAIC) since 1991, underwrites and services Great American’s broad line of trade credit and political risk insurance products, offering both cancellable and non-cancellable limit policy options. GAIC is the insurer on policies underwritten by FCIA and is rated A+ by S&P. ✓ Trade Credit Insurance for Companies: Insurance against nonpayment of accounts receivable. Coverage for multiple buyers or single buyers, export and/or domestic sales, pre-shipment and post-shipment risks, short term and medium term tenors. ✓ Trade Financing Insurance for Financial Institutions: Coverage for confirmation of LCs issued by foreign banks, import/export/pre-export financings, purchased receivables and trade payables financings. ✓ Political Risk Insurance: Coverage for contract frustration, wrongful calling of advance payment and other bonds and investor losses on foreign assets caused by confiscation, expropriation, nationalisation, political violence and other perils customised to meet transaction requirements. Policy periods up to seven years. Specialised financing company FINNVERA has two roles in the Finnish economy: it is the official Finnish export credit guarantee agency (ECA) offering a full range of export credit guarantee products to promote exports and internationalisation of enterprises, and a domestic risk financier promoting the activities of small and mediumsized companies. FINNVERA’s subsidiary FEC offers interest rate equalisation at CIRR rates, and can fund export credits arranged by commercial banks. All services are available through Finnvera. The merger has been successfully completed. 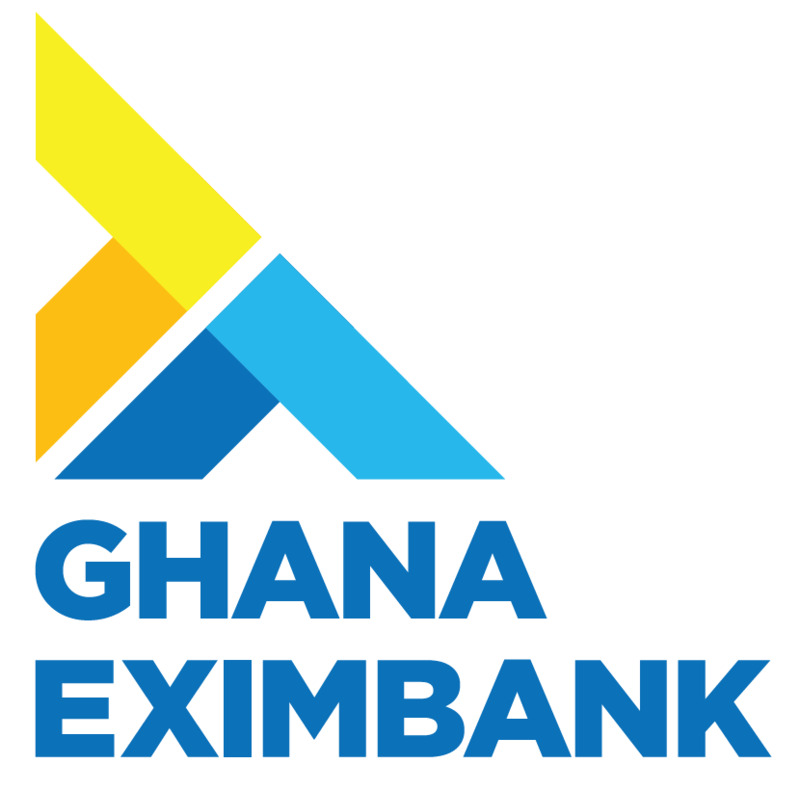 Staff of the three companies have been fully integrated into the Ghana Exim Bank. The establishment of the Bank is expected to improve the country’s export competitiveness, foreign exchange earnings and balance of trade. • Increase Non-Traditional Export from its average annual revenue figure from USD 2.4bn to USD 5bn by 2022. • Develop crops such as avocado, sweet potatoes and coconut into major Non-Traditional export products a by 2022. • As agent of Government (Act 911, Function 25), be a key finance partner for effective implementation its Industrialization agenda and special Initiatives such as One District One Factory (1D1F). • Finance and develop strategic import substitute products; eg. Poultry and rice. The Bank expects to support the reduction of Ghana’s import bill by a minimum of USD300 million by 2022. • Increase the capacity of the Ghanaian exporter through effective collaboration with key strategic partners such as the Ghana Export Promotion Authority, the Food and Drugs Authority and the Ghana Standards Authority. • Make Ghana an export pillar regionally and globally by providing financing support to complement the efforts of exporters. • Develop human capital with the capacity to support the transformation of Ghana into an export led economy by 2022. Ownership: GIEK is an independent governmental enterprise. GIEK is to promote exports of Norwegian goods and services, and Norwegian investments abroad. GIEK issues guarantees and insurances on behalf of the Norwegian government. a task of supporting sustainable economic growth pursuant to the overall strategic goals of the Republic of Croatia. Via different financing programmes, HBOR supports SMEs, infrastructure projects, tourism, industry, agriculture, environmental protection, energy efficiency and renewable energy resources as well as export. HBOR also gives loans for incentives to SME start-ups and loans to improve liquidity, loans for innovations and new technology projects. HBOR provides insurance and reinsurance of export against non-marketable risks. By establishing the Croatian Credit Insurance JSC (HKO) for commercial credit insurance, HBOR Group was incorporated. HBOR is a member of different associations, clubs and other institutions that share a similar background and similar interests committed to global development. The Bank also co-operates with the export credit agencies, international banks and supranational institutions to meet the needs of Croatian entrepreneurs. The Hong Kong Export Credit Insurance Corporation (HKEC) was created by statute in 1966 to protect Hong Kong exporters against non-payment risks arising from commercial and political events. Its contingent liability under contracts of insurance is guaranteed by the Government of the Hong Kong Special Administrative Region, with the statutory maximum liability currently standing at HK$55bn. HKEC provides a wide range of insurance facilities covering export of goods and services on credit periods up to 180 days. HKEC also provides tailor-made facilities to cater for the varying needs of different export sectors. For export of capital goods, HKEC may offer medium and long-term cover for credit periods up to five years or beyond. ✓ Short-term (up to one year) / Medium and long-term (over one year) cover: commercial and political risks; pre-shipment and post-shipment cover. Ownership: The authorised capital of ICIEC is US$620mn, subscribed by the Islamic Development Bank (IDB) and 45 member countries of the Organisation of the Islamic Conference (OIC). ICIEC, Aa3 rated is a member of the IDB Group. Established in August 1994 as an international institution with full juridical personality, ICIEC’s objective is to increase the scope of trade transactions from OIC member countries, and to facilitate foreign direct investment into these countries by providing export credit and investment insurance/ reinsurance facilities to its customers in member countries. ✓ Export credit insurance: ICIEC offers services to exporters and banks in ICIEC member countries for both short-term and medium- term (up to seven years) covering commercial and political risks. ✓ Foreign investment insurance: ICIEC offers cover to investors and financiers of the projects from anywhere in the world to invest into ICIEC member countries. ✓ Reinsurance services: ICIEC offers reinsurance services to ECAs and commercial insurance companies in ICIEC member countries and can also participate with international ECAs. To be able to perform and to function effectively, Indonesia Eximbank operates independently based on a separate law (lex specialis) and with a status of a sovereign entity. As an extension of the Government of Indonesia, Indonesia Eximbank is expected to help provide funding in markets not served by commercial banks or financial institutions (fill the market gap) or due to lack of capacity in competitive financing and ability in absorbing risks, in order to support the national export development program through National Export Financing (PEN). The Jordan Loan Guarantee Corporation (JLGC) was established as a public shareholding company in accordance with the Jordanian Companies’ Law and registered in the registry of the public shareholding companies under number 242 on March 26, 1994. Its establishment was formally declared in the Founders Assembly meeting held on April 17, 1994. The corporation was given permission to start operating as of May 7, 1994. The establishment of JLGC came in response to the decision undertaken by the Cabinet session of 24/8/1993, which approved the establishment of a public shareholding company for guaranteeing loans to small and medium-sized organisations. In 1997, JLGC took on the functions of the Export Credit Guarantee Department and the Counselling Services Unit. JLGC’s capital was subsequently increased to JD10mn (US$1mn). in order to stimulate non-oil export and investments abroad by providing insurance against commercial and political risks. Since 2010 KazakhExport provides post-export trade financing for exporters in non-oil sector. Insurance financial strength rating assigned by Moody’s Investors Service is Baa2, outlook – “Stable”. KredEx Krediidikindlustus AS is a licenced insurance company in the jurisdiction of Estonian State, whose goal is to support the development and exports of Estonian businesses. The company provides various credit insurance solutions, which serve to manage the export receivables risks of enterprises. Korea Trade Insurance Corporation (K-sure) was established in July 1992 as the official export credit agency of Korea pursuant to the Export Insurance Act of 1968 with the mission to support exports, thereby contribute to the national economy. Under the supervisory authority of the Ministry of Knowledge Economy, K-sure protects Korean business in their export and overseas investment activities through its export credit insurance, overseas investment insurance, credit guarantees and various other programmes and services. ✓ Investment insurance: Cover offered: transfer; war expropriation breach of contract. ✓ Bonds and guarantees: Bid Bond; AP Bond; P Bond etc. Export Credit Insurance Corporation Joint Stock Company (KUKE S.A.) is the official export credit agency of the Republic of Poland, which, on the basis of the Act on export insurance guaranteed by the State Treasury, administers officially supported export insurance scheme. KUKE S.A.’s mission is to support exporters and institutions financing supplies of Polish goods and services, by providing insurance and guarantees that allow Polish exporters to win foreign markets and to provide efficient and tailor-made service for them. KUKE S.A. also provides standard cover for short-term export and domestic receivables on the company’s own account. The Lebanese Credit Insurer s.a.l. (LCI) is the first independent specialised credit insurance company in Lebanon and the Middle East. LCI is active through its partners in Saudi Arabia, UAE, Kuwait, Qatar, Jordan, Egypt, Bahrain, Oman, Syria, Nigeria, Serbia, Cyprus and Croatia. LCI focuses on domestic and export trade credit insurance (trade receivables insurance). Policies cover manufacturers, trading companies and providers of services, against the risk of non-payment of their local and foreign customers. Trade receivables management tools are also offered such as Credit Information, Debt Collection, and Risk Management Solutions through its 100% owned subsidiary LCI Services s.a.l. Liberty Mutual Insurance Europe Limited (“LMIE”) is a private company and is part of Liberty Mutual Insurance Group, a global insurer. Liberty Specialty Markets (“LSM”) is the trading name for LMIE. LMIE is registered in England and Wales (company number 01088268) whose registered office is at 20 Fenchurch Street, London EC3M 3AW. LMIE is authorised by the Prudential Regulation Authority (“PRA”) and regulated by the PRA and the Financial Conduct Authority (“FCA”) with Reference number 202205. LMIE is wholly owned by Liberty Mutual Holding Company Inc., a U.S. company incorporated in Massachusetts. Global Financial Risks (GFR) is a division of LMIE that provides political and credit risk insurance. Macedonian Bank for Development Promotion via commercial banks provides financial support for start-ups and developing SMEs. The lending programme consists of a variety of ST and MLT credit lines offering favourable credit terms and technical assistance tailored according to the entrepreneurs’ specific needs. The bank performs the role of an official export credit agency of the Republic of Macedonia providing export support for companies through pre-shipment finance loans and export credit insurance. Eximbank of Malaysia provides insurance, guarantee and financing facilities to Malaysian exporters and investors as well as foreign buyers of Malaysian products and services. Eximbank of Malaysia has various financing programmes providing short-to long-term credit to help promote Malaysian exports. • Short-term (up to one-year) cover: Commercial and political risks; pre-shipment cover; credit and domestic cover. • Medium/long-term (over one year): Supplier and buyer credit facilities; line of credit. ✓ Investment insurance: Cover: conversion/transfer cover; war and civil disturbance; expropriation/confiscation; breach of contract by host government. ✓ Bonds and guarantees: Cover: conversion/transfer cover; war and civil disturbance; expropriation/confiscation; breach of contract by host government. The Multilateral Investment Guarantee Agency is an international financial institution which offers political risk insurance guarantees. Ownership: MIGA is owned by 179 member countries. non-commercial risks through its political risk insurance. MIGA has issued over US$27bn in guarantee coverage in more than 100 developing member countries. MIGA can cover equity investments, shareholder loans, shareholder loan guaranties, and non-shareholder loans. Investment projects must be financially and economically viable and meet MIGA’s social and environmental performance standards. • To provide finance and guarantees that enhances the competitive position and increase the volume of exports and their proceeds. Nippon Export and Investment Insurance (NEXI) is the official export credit agency of Japan established under the Trade and Investment Insurance Act. NEXI was launched as a successor to the trade and investment insurance administered by the Japanese government, although as the authority the government (Ministry of Economy, Trade and Industry) retains ultimate responsibility. NEXI was transformed into a 100% government-owned special stock company on April 1, 2017 from an incorporated administrative agency established in 2001. The purpose of NEXI is to efficiently and effectively conduct insurance business of covering risks which arise in foreign transactions and which are not covered by commercial insurance. ✓ Export Credit Insurance: Insurance for export, intermediary trade etc. The NZECO operates as a business unit within the New Zealand Treasury. Its mission is to help New Zealand exporters manage risk and capitalise on trade opportunities around the globe by providing guarantee and insurance solutions that complement those in the private sector. The Secretary to the Treasury has been delegated the power from the Minister of Finance to provide these guarantee and insurance products pursuant to the Public Finance Act 1989. The ODL, Luxembourg’s One-Stop Shop for exporters, is designed to support Luxembourg exporters while trading internationally, mainly by providing credit insurance schemes for exports, imports and investments abroad. Since the co-operation agreement of April 29, 2002 between the ODL and the Luxembourg Government, establishing the COPEL (Comité pour la promotion des exportations luxembourgeoises), the ODL supports Luxembourg exports by means of a partial contribution in the promotion, exhibition and export training expenses. Furthermore, the ODL performs its assignment of supporting Luxembourg exports in participating in external trade instruments such as «Luxembourg for Business». Promotion of Luxembourg exports by financial supports through the COPEL (Committee for the promotion of Luxembourg exports) on behalf of the Ministry for Foreign Trade. OeKB is a joint stock company providing export-related services and carrying out capital market activities. In the field of export credit and investment insurance, OeKB operates on the government’s account as agent of the Republic of Austria, covering non-marketable risks only. The refinancing facilities offered to financial institutions are operated on OeKB’s own account. ST credit insurance (up to 24 months) is carried out by the private credit insurer Acredia Versicherung AG (51 % subsidiary of OeKB, brands: OeKB Versicherung and PRISMA Die Kreditversicherung. OeKB also holds a majority stake in “Österreichischer Exportfonds” GmbH and 100 % of Oesterreichische Entwicklungsbank AG (OeEB) which acts as the official development bank of Austria, mandated by the Austrian Government. ✓ Export credit insurance for capital goods: Multiple or single transactions; supplier and buyer credits; commercial and political risks; pre-shipment and credit risks. ✓ Investment insurance: Cover offered against risk of expropriation/confiscation; war and civil war as well as non-conversion/non-transfer. ✓ Bonds and guarantees: Cover against unfair calling. OPIC was established as an agency of the US Government in 1971. OPIC operates on a self-sustaining basis at no net cost to American taxpayers. OPIC services are available for new and expanding business enterprises in more than 150 countrries worldwide. To date, OPIC has supported more than $200 billion of investment in over 4,000 projects, generated an estimated $76 billion in US exports and supported more than 278,000 American jobs. OPIC is the US Government's development finance institution. It mobilizes private capital to help solve critical development challenges and in doing so, advances US foreign policy and national security objectives. Because OPIC works with the US private sector, it helps US businesses gain footholds in emerging markets, catalyzing revenues, jobs and growth opportunities both at home and abroad. OPIC achieves its mission by providing investors with financing, guarantees, political risk insurance, and support for private equity investment funds. INSURANCE: while developing markets can offer great opportunity, they can also present a variety of political risks beyond an investor's control. OPIC's political risk insurance provides innovative, comprehensive, and cost effective risk mitigation products to cover losses to tangible assets, investment value, and earnings that result from political perils. FINANCE: OPIC financing provides medium-to-long term funding through direct loans and loan guarantees to eligible investment projects in developing countries and emerging markets. By complementing the private sector, OPIC can provide financing in countries where conventional financial institutions often are reluctant or unable to lend. INVESTMENT FUNDS: OPIC also provides support for the creation of privately-owned and managed investment funds. These funds make direct equity and equity-related investments in new, expanding or privatizing emerging market companies. PricewaterhouseCoopers GmbH Wirtschaftsprüfungsgesellschaft (PwC) manages the investment guarantee scheme on behalf of the Federal Republic of Germany as mandatary of the Federal Government. Through the international network of PwC, we are represented worldwide by over 236,000 staff members in all the important business locations of 158 countries. PwC is the common name of PricewaterhouseCoopers GmbH Wirtschaftsprüfungsgesellschaft in Germany and of the other, legally separate and independent, member firms of PricewaterhouseCoopers International Limited. In Germany alone we have around 600 partners and over 11,000 experts at 21 locations committed to supporting our clients with high quality assurance, advisory, and tax and legal services. Investment insurance: Cover offered: conversion/transfer cover, war/civil war cover, expropriation/confiscation cover and breach of host country commitments. • To develop, support, and globally promote exports from Qatar. All Qatari exporters, regardless of their size, ownership, export contract volume, sector or turnover are eligible for QDB support. SACE, a joint-stock company wholly owned by Cassa depositi e prestiti, offers a wide range of insurance and financial products: export credit, investment protection, financial guarantees, surety bonds and factoring. It operates in 198 countries, ensuring more stable cash flows and transforming the insolvency risks of 25,000 business customers into development opportunities. SACE is a leading provider of export credit, credit insurance, foreign investment protection services, financial guarantees, sureties and factoring services. With operations worth over €76 billion assured in 189 countries, SACE supports the competitiveness of Italian and foreign businesses, guaranteeing more stable cash flows and transforming insolvency risks into development opportunities. The experience acquired in over 30 years of activity in international markets enables SACE to identify and assess risks to support customers even in challenging conditions. Its close-knit yet globally distributed network covers major emerging and industrialised markets, to meet the needs of 25,000 businesses worldwide. Headquartered in Italy, SACE has representative offices in Dubai, Hong Kong, Istanbul, Johannesburg, Mexico City, Moscow, Mumbai and Sao Paulo, as well as an operative desk in Nairobi (c/o ATI). We support the purchases of Italian goods and services by guaranteeing or insuring medium- and long-term loans to international buyers. Loans may be denominated in euro, U.S. dollars or select foreign currencies. We guarantee non-recourse or limited-recourse loans to finance major international capital projects involving Italian exporters and projects of strategic importance for the Italian economy in sectors such as infrastructure and renewable energy. We help Italian enterprises access financing to support their international development, by guaranteeing loans granted for export-related activities or foreign investments. We also protect their investments abroad against political risks. We offer guarantees to cover the contractual and legal obligations of companies participating in tenders and suppliers that win orders in Italy and abroad. We also provide construction risk insurance. We provide Italian exporters with a variety of credit insurance policies, enabling international buyers of Italian goods and services to benefit from extended credit terms. We offer recourse and non-recourse factoring, with a specific range of services for suppliers to public sector customers. Among others services we advise ECA’s in emerging markets and others financial institutions, providing training programs aimed at transferring own experience and know how. The SEP was established under the auspices of the Saudi Fund for Development (SFD) in 1999 to act as the national ECA of Saudi Arabia, which provides different facilities to support Saudi non-crude oil goods and services, which contain 25% or above of the Saudi value-added component. Swiss jobs and to help Switzerland’s export industry to compete successfully around the world. SID Bank is an export and development bank and the national export credit agency (ECA) which performs insurance against non-marketable risks on state account, as well as promotional and development activities in the area of international trade, entrepreneurship, development, research and innovation, ecology, energy, and infrastructure, with primary aim to cover market gaps in the mentioned areas. By supporting development projects, ensuring safety in internationalization of operations and providing all modern financial services in one place, SID Bank encourages Slovene companies to exploit the opportunities for opening up in the international economic and development cooperation. SID Bank subsidiaries are: SID - First Credit Inusrance Company Inc., Ljubljana (short-term credit insurance against marketable risks) and CMSR - Centre for International Cooperation and Development (country risk analysis). ✓ Financing: Supplier/buyer credits and credit lines; financing exports, SMEs, environmental protection, research, sustainable development projects, etc. business offices nationwide and an overseas representative office in London, UK. The Sri Lanka Export Credit Insurance Corporation (SLECIC) was established by Act No 15 of 1978 and commenced operations on February 8, 1979. The main objective of SLECIC is to provide support services of export credit insurance and guarantees for the development of exports from Sri Lanka. SLECIC’s comprehensive export credit solutions help exporters to compete in more than 100 countries including high-risk and emerging markets. ✓ Export credit insurance (seller’s risk): Short-term (up to 180 days) cover against commercial and political risks. Whole turnover and specific insurance policies. Tailor-made insurance policies where cover available for export of services, entrepot trade and consignment stocks as well. ✓ Export credit guarantees: Whole turnover credit guarantees (WTG) that underwrite the entire short-term export finance portfolios of commercial banks. Individual export production credit guarantees and pre and post-shipment credit guarantees to enable exporters to obtain working capital from banks. Credit guarantees to banks that enable migrant workers to obtain pre-departure loans from banks (APARA). ✓ Export performance guarantees: Counter-guarantees to banks on account of exporters covering bid bonds, performance bonds etc. Demand guarantees to the International Chamber of Commerce of Sri Lanka (ICC) covering the ATA Carnet System. Demand counter-guarantees to banks on account of freight forwarders covering their commitments to airlines. ✓ Other services: Providing financial status reports to commercial banks (Bizinfo).Debt collection service. and multilateral agencies with coinsurance and reinsurance. ✓ Sovereign and Sub-Sovereign Non-Payment: Non-payment by sovereign and sub-sovereign borrowers, and non-honouring of sovereign and sub-sovereign guarantees. Maximum line per project: US$80mn; maximum tenor: 15 years. ✓ Investment Insurance: Currency inconvertibility, non-transfer and expropriation of funds, political violence, expropriatory actions (direct and creeping), breach of contract, wrongful calling of on-demand guarantees, licence/concession cancellation, embargo and other customised political risks. Maximum line per project: US$80mn; maximum tenor: 15 years. Swiss Re Corporate Solutions (SRCS) is one of three distinct legal entities of the Swiss Re Group. SRCS was established in 2010 to consolidate and delineate the Group's direct, corporate insurance activities, serving multi-national corporates and banks, focusing on large & mid-sized clients with annual revenues of USD 500+ million. Within SRCS, the Political Risk Insurance team , established in 2013, provides medium/long-term traditional political risk insurance and sovereign credit insurance, with underwriting capabilities in London, Zurich, New York, Singapore and Tokyo. ✓ Investment Insurance: Protecting investors and lenders against specific political risks including: expropriation; political violence; currency inconvertibility and non-transferability; breach of contract through arbitration award default; and other risk coverages tailored to fit transaction requirements. Maximum line per project: USD 75m; maximum tenor: 15 years. overseas investments. It does not compete with commercial banks in providing financial services. TEBC offers financial solutions to facilitate the export of capital goods and services, overseas investments, etc. These financial solutions include export credit insurance and overseas investment insurance since 1979. These insurance services are used to protect exporters against commercial and political risks. TEBC has also offered loans or guarantees on short-term, medium and long-term basis. ✓ Export credit insurance: Short-term (up to one-year)/medium and long-term cover: Commercial and political risks. ✓ Investment insurance: Conversion/transfer cover; war and civil war cover; expropriation/confiscation cover. ✓ Export finance: As direct lender; short-term, medium and long-term export finance. ✓ Guarantees: Bid bonds; performance bonds; bonds/guarantees issued. Export-Import Bank of Thailand (THAI EXIMBANK) is a financial institution wholly-owned by the Royal Thai Government under the supervision of the Ministry of Finance. The bank’s main objective is to serve the financial needs of Thai exporters, Thai investments overseas, and other businesses earning or saving foreign exchange. THAI EXIMBANK provides financial services customary to commercial bank practices, except for accepting deposits from the general public. Saray Mh. Ahmet Tevfik İleri Cad. Turk Eximbank is a fully state-owned bank acting as the Turkish government’s major export incentive instrument in Turkey’s sustainable export strategy. As Turkey’s official export credit agency, Turk Eximbank has been mandated to support foreign trade and Turkish contractors/investors operating overseas. Turk Eximbank’s main objectives are promoting Turkey’s exports through diversification of exported goods and services by increasing the share of Turkish exporters in international trade, finding new markets for traditional and non-traditional export goods and providing exporters and overseas contractors with support to increase their competitiveness and to ensure a risk-free environment in international markets. ✓ Credit Insurance: Türk Eximbank provides cover for Turkish exporters, against commercial and political risks by offering variety of insurance programs. Like most of other officially supported export credit agencies, only political risks are considered under the guarantee of the state, whereas losses due to commercial risks are indemnified by Türk Eximbank from its own sources. ✓ Financing: Türk Eximbank supports exporters, export-oriented manufacturers, overseas investors and companies engaged in foreign currency earning services with short, medium-long term cash and non-cash credit programs. Moreover, export receivables are discounted in order to increase export volume and to ease access into new and target markets through the promotion of sales on deferred payment conditions. ✓ International Loans: The objective is to support Turkish exporters/contractors by providing finance to the export of durable & non durable consumer goods with up to 2 years and capital goods & projects with up to 10 years of maturity. UK Export Finance is the UK’s export credit agency. As a government department that operates under an act of parliament, it complements the private market by providing government assistance to exporters and investors, principally in the form of insurance policies and guarantees on bank loans. The only Ukrainian bank acting on behalf of the government as a financial agent with respect to foreign loans guaranteed by Ukraine. Ukreximbank's mission is to create favourable conditions for economic development of Ukraine by supporting national manufacturers, especially in the export-oriented sectors. Having diversified its operations over the last decade, Ukreximbank currently provides a wide range of banking services, with a strong focus on export-import banking. Ukreximbank services a considerable part of foreign economic activity of Ukrainian enterprises, which represent key branches of the national economy. Ukreximbank has the widest network of correspondents and partners among Ukrainian banks, including over 800 commercial banks that provide over 100 clean credit lines, 35 export credit agencies that recognise Ukreximbank as a direct borrower and guarantor, and a number of international financial institutions and development banks, such as IBRD, EBRD, EIB, KfW and others, that partner Ukreximbank under special programmes. The official ECA of the United States supports US jobs by financing the export of US goods and services. The bank does not compete with the private sector but assumes commercial and political risks that the private sector is unable or unwilling to accept. US Ex-Im Bank also helps to level the playing field for US exporters by providing export credits that are comparable to financing offered by foreign governments. Historically, 80% or more of US Ex-Im Bank’s authorisations have been for small businesses. ✓ Export credit insurance: Policies protect against political and commercial risks of nonpayment. Single and multi-buyer short-term policies (90-100% cover) and single-buyer medium-term policies are available (100% cover). ✓ Export finance: Provides fixed-rate loans to private and public sector creditworthy international buyers of US goods and services. ✓ Export loan guarantees: Provides medium and long-term loan guarantees that cover 100% of principal and interest of a commercial loan against political and commercial risks of non-payment. ✓ Export working capital loan guarantees: Provides exporters with the liquidity to produce US goods and services intended for export, helping them compete more effectively internationally. ✓ Project finance: Offers project finance for projects that rely on project revenues for repayment. Project finance offers maximum flexibility for project sponsors and helps US exporters compete globally. Zurich Credit & Political Risk is a global political risk and credit insurance business based in Washington DC, with offices in New York, Miami, Toronto, Houston, London, Singapore, Beijing, Hong Kong, Tokyo, Sydney, Paris, Barcelona, Frankfurt, and Zurich. Zurich collaborates with a wide range of organisations, including export credit agencies, international banks and private insurers, to structure deals in all business sectors. To date, Zurich has written policies covering risks in more than 150 countries. ✓ Political Risk Insurance: Coverage against: expropriation; political violence; currency inconvertibility; non-honoring of sovereign and sub-sovereign debt obligations; arbitration award default; wrongful calling; non-repossession; and other perils customised to fit transaction requirements. Policy terms up to 15 years; capacity up to US$150mn per transaction; indemnities from 90-100%. ✓ Credit Insurance: Cover offered: comprehensive payment default, whether occurring due to political risk events or commercial reasons. Policy terms up to seven years; capacity up to US$75mn per transaction. Zurich’s Excess of Loss Credit Insurance product covers payment default related to short-term receivables.